Learn Agile Project Management online and prepare for your PMI-ACP® certification, on your own schedule. Get 14 PDUs and aquire the skills that are key to working more cohesively, communicating more effectively, and supporting your team by being a better leader. Gain a deep understanding of the principles and practices of agile project management. Learn to coordinate all aspects of the agile development process by using the latest agile tools. Understand how to run development sprints, manage teams, and foster a culture of continuous improvement. Agile has gone mainstream and the movement towards agile adoption shows no signs of slowing down. Organizations worldwide continue to advocate for the the adoption of agile techniques in order to deal with rapid organizational and technology changes. Although traditional project management methodologies have been the standard for many years, the continued pace of change means that project managers and organizations alike need to adopt new ways of developing and implementing projects. Effectively implementing agile practices requires a paradigm shift including a new mindset and new techniques. This course covers all the major topics needed to understand and master agile project management. The course begins by providing key foundational knowledge and then gradually builds on this knowledge to delve into core agile techniques and practices. It also covers all the topics needed to prepare for the PMI-ACP Certification with over 250 knowledge and practice questions. Some understanding of agile techniques and practices may be advantageous but is not mandatory. How long do l have access to the course? Course access will be available for 365 days upon successful course purchase. Our mission is to promote the advancement of project management throughout society and to equip a wide range of project managers with the knowledge and skills needed for successful project implementation in a digital age. Therefore, the cost is only $99, one time charge. Simliar courses from other providers with comparable content quality rank at $350 and more. If you are interested in group discounts or custom access, please contact us. Vocalmeet offers a 30 day money back guarantee on agile-courses.com with no questions asked. This course qualifies for 14 PDUs. Upon successful completion you can submit your certificate of completion to the PMI in order to claim your PDUs. Vocalmeet Inc. is a Registered Education Provider of the Project Management Institute (PMI®) and operator of agile-courses.com. Download our Course Details as a PDF. “Agile Courses” is powered by Vocalmeet Inc. A Registered Education Provider of the Project Management Institute (PMI®).  Vocalmeet promotes the advancement of project management throughout society and equips project managers with the knowledge and skills needed for successful project implementation. © 2019 Vocalmeet Inc. | All rights reserved.